Who doesn’t love to be pampered from time to time? Indulging in a spa day is an enjoyable way to take a mini-break from the everyday stresses of military life. Whether it’s a massage for sore muscles or a nourishing body treatment, many spa services have been shown to promote relaxation, healing, and more. If you’ve been considering enhancing your wellness with a spa treatment, try to look for a spa that offers a military discount. Below are some spas around the country that advertise military discounts on their websites. If you don’t see a military discount mentioned for a spa in your area, be sure to ask if one is available. Many places are happy to honor America’s heroes with significant savings on their services. Massage Envy believes that regular massages and facials are an integral part of total body wellness. Services include customized massages designed to address your specific needs. Participating franchise locations invite active military personnel to join Massage Envy at a savings of $60 a year. Massage Envy has locations throughout the metropolitan New York City area including Manhattan, Long Island, Westchester, Connecticut and New Jersey. See your local franchise for details. Massage Heights seeks to elevate people’s lives through services such as massages, therapeutic aromatherapy, and facials. Massage Heights also offers Lifestyle Programs that provide a series of rejuvenating massage sessions designed for specified needs and goals. Participating Massage Heights locations are offering military discounts on any new 3, 6, or 12-month membership. The Red Door Salon & Spa by Elizabeth Arden is a luxury spa and hair salon with 28 locations throughout the United States. U.S. military personnel and spouses can receive 20% off spa services such as massages, facials, body wraps and more. Want to bring a spa home with you? Bullfrog Spas manufacturers hot tubs and portable spas and has a Military Discount Rebate Program that provides active and retired military individuals and their families with a $500 cash back mail-in rebate. Voted the best massage therapy in San Diego, Bodhi Massage & Wellness Center offers a 10% discount to military with Memorial Day specials that offer additional savings. There are many massage options to choose from including aromatherapy massage, prenatal massage, hot stone massage, sports massage and others. Contact the center for details. 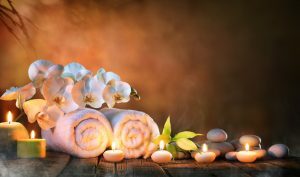 The Muscle Spa in Fairview Heights, IL provides an array of massage services including relaxation massage, therapeutic massage and synergy stone massage. Active duty military, spouses and veterans are entitled to a 10% discount off any massage service, anytime or a 20% discount on Military Mondays. Book your appointment online and use the special military discount promo codes. Pamper yourself at the Relâche Spa at the Gaylord National Resort & Convention Center in National Harbor. Try one of its signature therapies such as the Botanical Body Ritual or a massage therapy like a soothing stone massage. The spa also offers body therapies for skin and hair, and a luxurious Diamonds and Gold Facial Treatment. Military can receive 10% off all services, every day, all year. Ambiance Salon & Boutique in Fallon, NV offers active duty military $10 off massage services. The salon offers full body massages, prenatal massages, and a foot massage. Enjoy a military discount at the spa that was voted the best spa in Winston-Salem. It offers a variety of treatments from massages, facials, and waxing to body polish, cellulite reduction and more. To thank the military, the spa offers current or former military with ID, $10 off any service over $50. Military ID is required for all discounts. See individual websites for offer details, exclusions and restrictions.